A Lone Worker is deﬁned as an employee who performs their role in isolation from others and without close or direct supervision. As our working environments are continuously evolving, the need for remote and isolated work is becoming more apparent. To ensure every work place is safe, we can protect your employees by ensuring they are never alone. Marlowe Connect is FAFS Fire & Security’s purpose-built Alarm & Video Receiving Centre (AVRC). The NSI Gold, Cat II, AVRC, protects people, property and peace of mind by monitoring Tracker Alarms, Panic Alarms, Fire Alarms and Intruder Alarms signals from systems installed anywhere in the UK. Operating 24/7, Marlowe Connect receives all alarm activations and takes the appropriate action, contacting Keyholders or the Emergency Services as required. FAFS Fire & Security’s ConnectMe app is ideal for improving the safety of your employees working in distant, isolated environments. ConnectMe works on any IOS or Android smartphone and allows you to keep a watchful eye on your employee’s real-time location without the need for an expensive GPS tracking device. 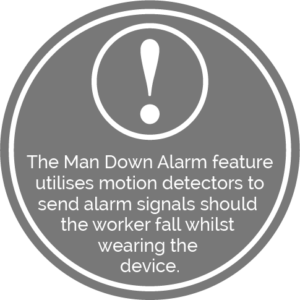 By utilising the smartphone’s GPS tracker and Man Down detection features, the app allows you to keep your workers safe and protected through on-demand location and incident reports. 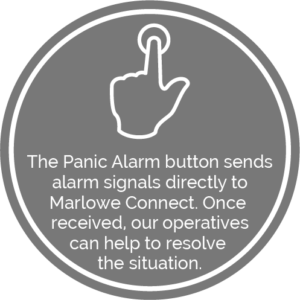 ConnectMe also provides the user with a panic alarm button which if pressed sends a priority alarm to Marlowe Connect, warning our operatives and allowing us to resolve the problem. 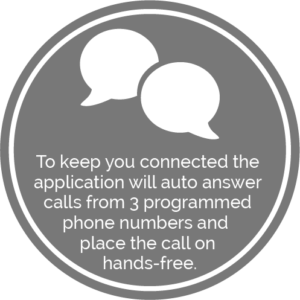 The ConnectMe software is designed to keep your lone workers connected to you and your business at all times. If an emergency is suspected or conﬁrmed on your site, one of our Operators will contact the Emergency Services and follow any agreed emergency protocol. 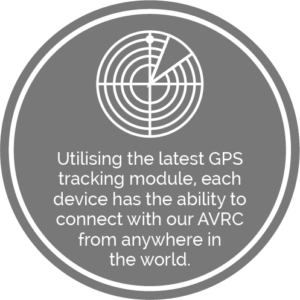 To provide complete visibility, all sites ﬁtted with a CCTV system that is monitored through Marlowe Connect can be visually veriﬁed should an alarm activation occur. Our ConnectMe Solution connects us to your employees, allowing us to ensure that your people are protected at any time of day or night when they are working in isolation from others and without close or direct supervision.